Having structured cabling isn’t for everyone, many businesses opt out of having an office network system to avoid it. But for many large corporations, having an in-office network with a well put together cable infrastructure can actually be far more beneficial to companies. Offering more capabilities like increased productivity, flexibility, and lower overall cost with a better return on investment is why you should call us to put together a cabling system that best works for your networks and your business. Great for future growth – It is a system that can grow as your company is growing. With the high bandwidth that comes with structured cabling, it allows for a scalable system that won’t become outdated. It provides very high bandwidth and better security, which make it an excellent investment for future company growth, having full control, and offer better protection with it being controlled in-house. Lower downtime – If there is a problem, you can pinpoint the problem and fix it. No more waiting for a tech or support team to fix it. With your own IT team, you can quickly de-escalate any issues that arise. Reduces cost in various ways – An excellent structured cabling system would allow for changes and upgrades to be rapidly and efficiently done. With its high bandwidth, it can cope with any high traffic and demands that may occur. It can also reduce power and maintenance costs, saving you more money in the long-run. Easy management – No need to continually call on support, the network can be easily managed by your regular IT team. 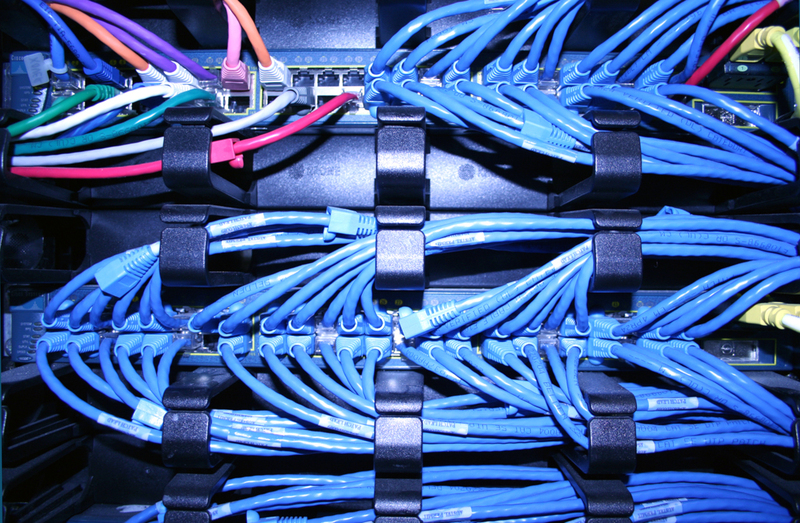 Many big companies continue to use structured cabling to run their operations smoothly. Still not sure if this is best for you? Contact us, and we’ll help you find the best solution for your business.